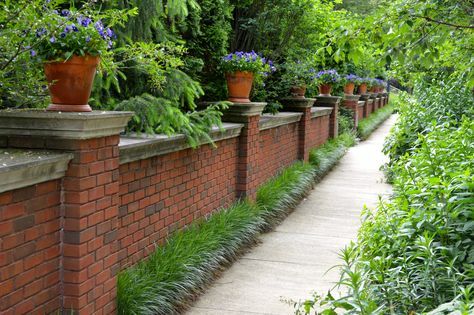 Building a brick fence may seem like a daunting task. 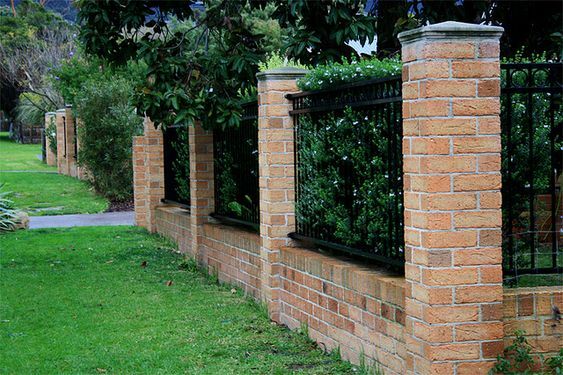 A brick fence is a very substantial structure that requires a lot of accuracy when being constructed so that it can stand the test of time. I have compiled a quick overview of how to build a brick fence so that you can get an idea of what you are in for and know whether or not you want to call in the professionals. 1. A square mouth shovel for digging the trench and shoveling in the concrete or mortar. 2. A wheel barrow to possibly transport your bricks with and to mix and transport the concrete/mortar mixture. 3. An all steel brick hammer to maneuver bricks and to cut bricks to custom sizes. 4. A broad heel steel brick trowel to apply the concrete/mortar mixture. 5. A level to make sure that you create a level line to build your fence along. 6. Concrete and/or mortar to secure the bricks and make the foundation for your brick fence. 7. String to visually establish the level line for each layer of your brick fence. 8. Wooden posts to secure the string level to and to mark the desired height of your fence. 10. Brick jointer to indent the mortar between the bricks. 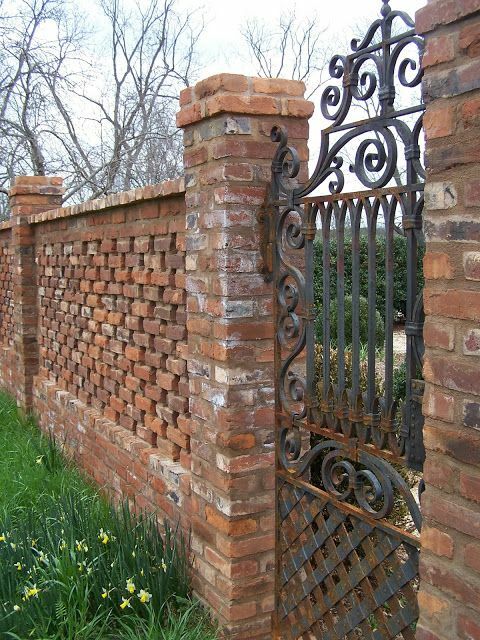 Once you have accumulated all of the necessary tools for building and constructing your new brick fence, you are ready to begin the process of bringing your brick fence plans to life! 1. 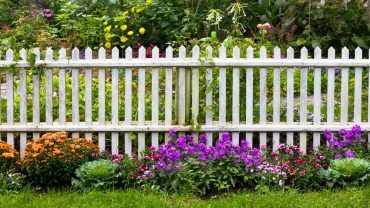 First, you need to make a solid foundation or footer for your fence. This foundation is made through digging a trench that is the length and width of your planned brick fence and roughly one foot wide. After you have dug the trench, fill it with concrete (making sure that it is level) and allow the footer/foundation to set up for 2-3 days. 2. Once your foundation/footer is completely dried and set up, you can begin laying the rows of brick that will make up your brick fence. 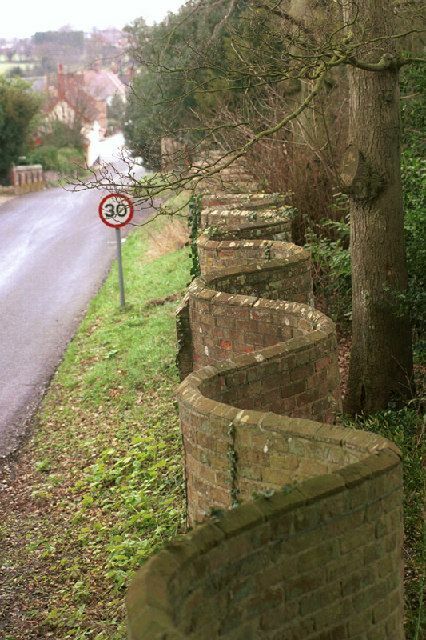 Put a wooden post at either end of the section of brick fence that you plan on erecting first. Measure the heights of each row and vertically mark each row along your wooden posts. These marks will be wear you tie each end of your leveling string as you move up from row to row when you are building your brick fence. 3. Apply a layer of mortar along your foundation and begin laying your bricks (make sure to frequently check with your level and push down or add more mortar underneath the bricks as needed to make the rows level). Leave a 1/2 inch space between each brick to fill with mortar. 4. When you lay each make sure that the bricks overlap so that the gaps are covered by a full brick for each preceding layer. 5. Lastly, after you have laid every row of brick allow the mortar to set up for 45-60 minutes, then use your brick jointer to smooth and indent the mortar between the bricks. So, with a lot planning and careful actions during the process of building your brick fence – it is completely feasible that you could DIY this project! A brick fence is one of the most classic fence types which will surely stand the test of time and ever changing home design trends. 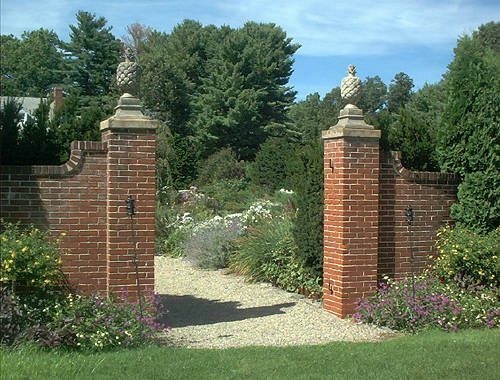 Brick columns with the wrought iron fencing make a beautiful design. 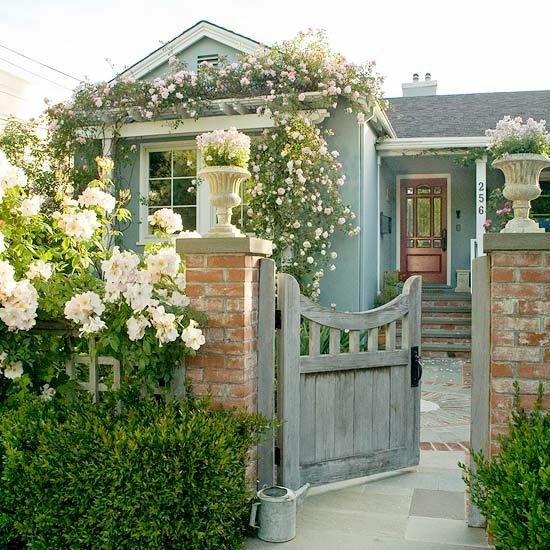 A beautifully decorated fence with brick columns, and a small wooden gate to die for. 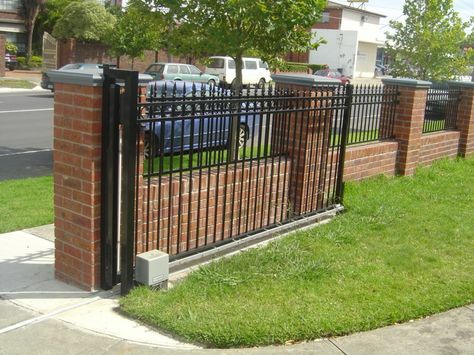 Black iron fencing on top of a short brick pillar fence. Large ornate brick columns with a descending brick wall surrounded by green shrubs. 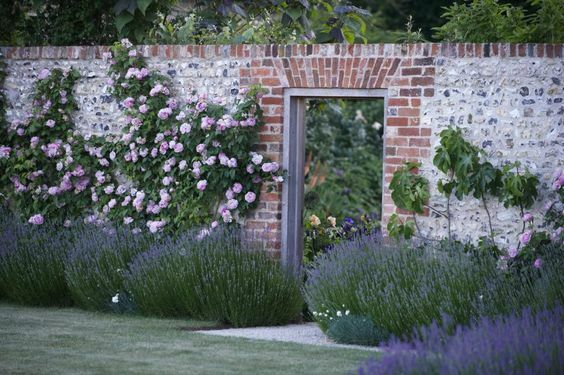 A brick and ivy combination that looks stunning with a white gate. 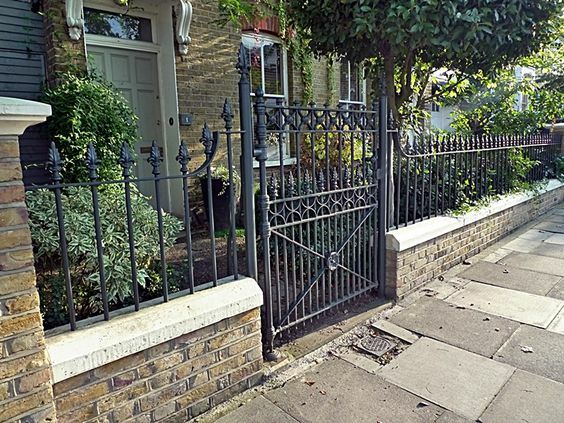 An ornate black iron fence with brick columns in stone caps. Old world brick mixed with bricks and stone, gives a rustic yet charming scenery. 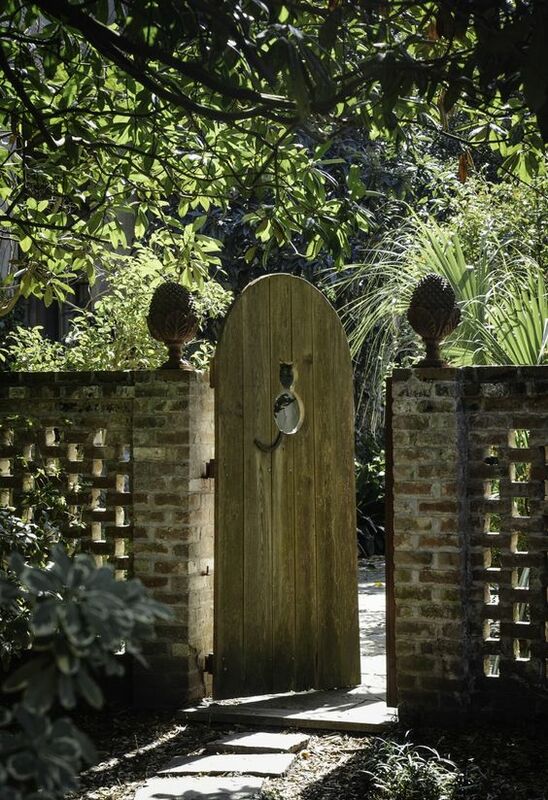 A hollowed brick fence with a custom wood gate. 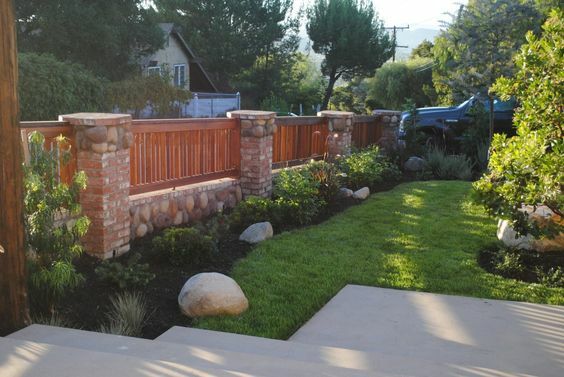 Short fence mixed with cedar wood brick and cobblestone. This unique brick design can be seen along this highway spanning back and forth. 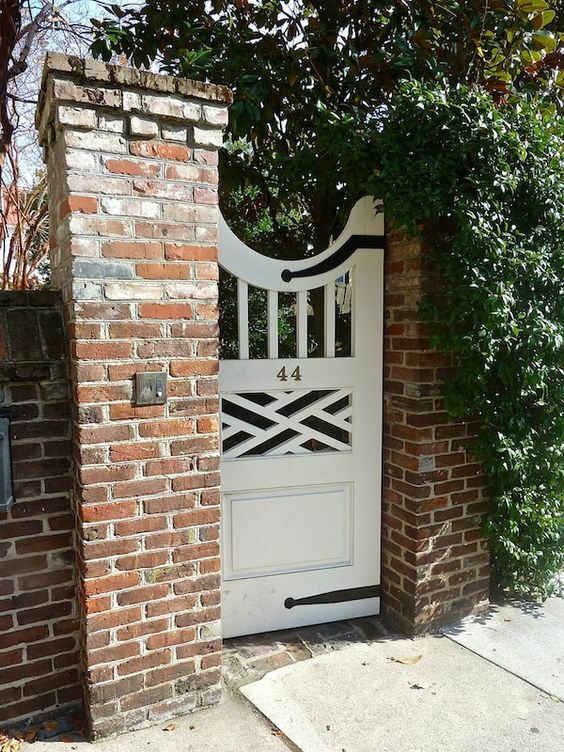 A charming brick private privacy fence mixed with a beautiful ornate wrought iron gate.